Last week I’ve received the audiobook version of The Brink: Stories by Austin Bunn from a great female narrator that I admire very much. She knew that I started theAudiobookBlog and she wanted to see if I will enjoy this collection of short stories, and I DID, very much! Austin Bunn is a talented young author that writes with ease and passion stories from different genres. In The Brink he switches from Drama to Thriller, from Mystery to Adventure, and so on. I’m sure everyone will find at lease two or three stories to love, just like I did. 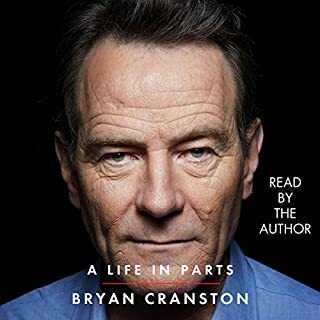 In total there are 10 short stories, plus one more as bonus for buying the audiobook. How to Win an Unwinnable War – A smart kid takes a Summer School course from which he wants to learn how to win a Nuclear War. Getting There and Away – A rich, just married, couple are vacationing in Bali, but there Paradise Island is not what it appears to be. Ledge – A sailor tells the story of how he arrived at the edge of the World and what he found there. 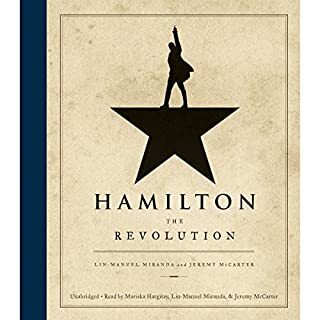 The rest of this collection is also good, but I wanted to tell you about these three favorites of mine, because I’m still thinking of them after I have finished the audiobook. The characters were very well developed and the plot lines were more then interesting. The only negative impression with which I’m left after my experience with The Brink: Stories was Griefer. Although I am a gamer, I didn’t synced with Griefer, the story of a gamer consumed by the shut down of an alternate reality massively online multiplayer game. The only thing I liked about it is that’s performed by the author and I enjoyed his narration. Hope he will return as a voice over artist. 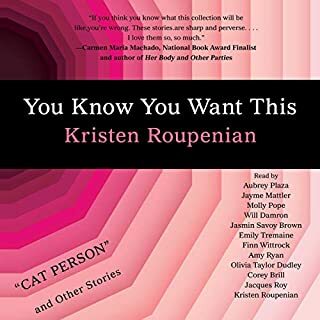 Speaking of narrators, the main reason I accepted to try this audiobook was the great cast of actors involved in this project. We have Tanya Eby, known for her narration of the Rizzoli and Isles series by Tess Gerritsen, and Tanya is also the Producer for The Brink. There’s also Luke Daniels, whom I personally love because of his performance of the Elvis Cole series by Robert Crais. Nick Podehl did a great job as well, and as I mentioned before, I liked Austin Bunn’s performance of Griefer and the bonus story that you get if you purchase the audiobook. Another big plus for The Brink: Stories is the great soundtrack formed by short pieces of music at the beginning of each story. I understand that a few of the songs were written by Austin, and the rest by his brother and friend. Very nicely done! 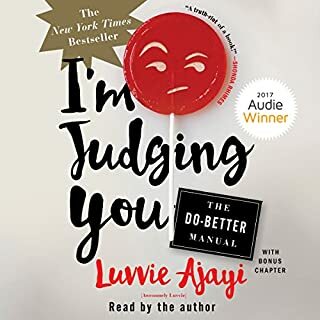 I’m not into short stories, actually, this is my first collection that I’ve listened to from the beginning to the end, and I’m glad I accepted the challenge. Now, after more then 6 hours spent in the company of the rich characters created by Mr. Bunn, all that I can say is: I hope you’ll take the plot from Ledge and write a full fledged book with it and I will keep an eye on you :). 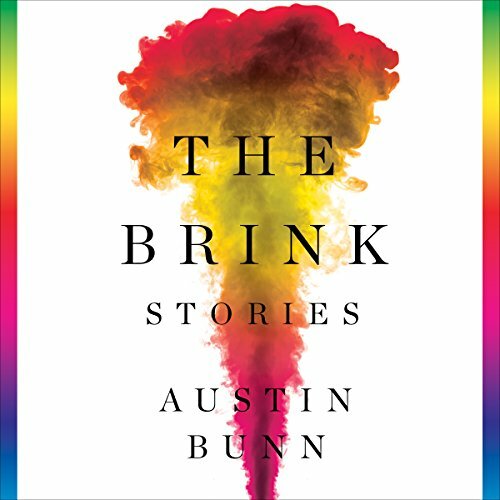 The Brink: Stories is definitely a better experience as an audiobook because of the amazing narrators that bring all these great stories to life!, and that includes Austin Bunn. The Brink: Stories by Austin Bunn reminds me of Forest Gump's box of chocolates - "You never know what you're gonna' get." When I started listening to the first story, I almost turned it off. I feared another "Catcher In The Rye" wannabe was coming at me. Fortunately for me, I kept listening and discovered the complex theme of a boy, a family and the world at the 'Brink" told in a way that had me wanting to slap and then kiss a number of the characters, including the world. Another story takes us on a honeymoon to a tropical paradise, and reminds us know how an ordinary person can become extraordinary given the proper mix of timing and circumstance, and how our actions, or lack thereof, can change worlds. Then there's the ship and her crew hundreds of years ago literally on the 'Brink' that is fascinating, beautiful and terrifying, 'the caramel, nut, mint cream' of the book. 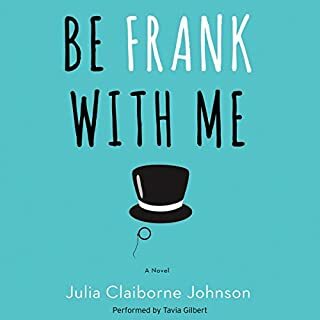 All of the stories are beautifully written and each has a unique voice and mood and took me on a literary adventure, more than just the boring commute I've experienced lately. It was both fun and, at times, disturbing to experience stories told from 'the other guy's' point of view. Back when I'd watch 'the news' and they'd interview a victim of a crime, and I'd wonder, 'But what about that other guy?" The one who watched it happen, or the person who had to clean up the mess. Some of these stories give you that experience and it's grand. Llight touches of grit and edge burnish the characters without making us want to face palm for them. The gentle insertion of music that briefly spaces the stories was a very nice addition. I'm always wary when the author is also the narrator and I have flashbacks of my "Lord Of The Flies" nightmare. But I was relieved and pleasantly surprised by Mr. Bunn. Good job! Amy McFadden, Luke Daniels, Mikael Narramore, Nick Podehl, Ralph Lister and Tanya Eby were all perfectly cast. The gender of the narrator matched each story and made it so much more 'real' and enjoyable. The production, mood and sound quality are perfection. This collection was incredibly written, and the performances were captivating. Each story was its own unique world, covering various genres from sci-fi to romance to realistic fiction. A few of the stories I wasn't a fan of, not because of the writing style, but because of my dislike of the characters, which in and of itself is a sign of good writing. My favorite story was "The End of the Age Is Upon Us," with "How to Win an Unwinnable War" coming in at a close second. My least favorite story was "Hazard 9." The bonus story at the end of the book was also interesting and captivating. This book was a huge letdown. 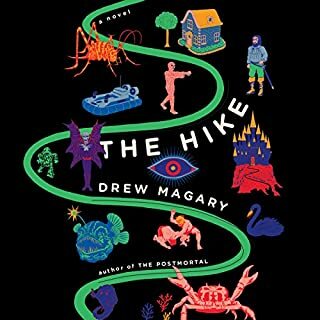 It was advertised as short stories on the end of the world but is actually a bunch of short stories that are so out there that it's hard to keep track of what the characters are saying. Many of the stories have graphic sexual references including one story that deals with homosexual prostitution at which point I stopped listening and I'm going to try and get my money back.